Happy Thanksgiving to each of you who celebrate! Do you need something fun to do these few days before Thanksgiving? 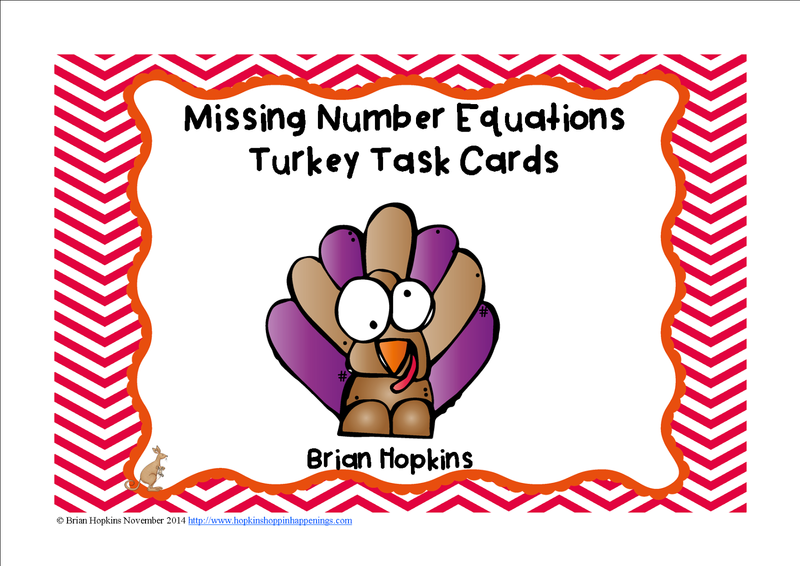 If so I whipped up a new set of addition task cards with a missing number for children to solve. Laminate them and your students can write on the cards or play the ever popular game Scoot with them! 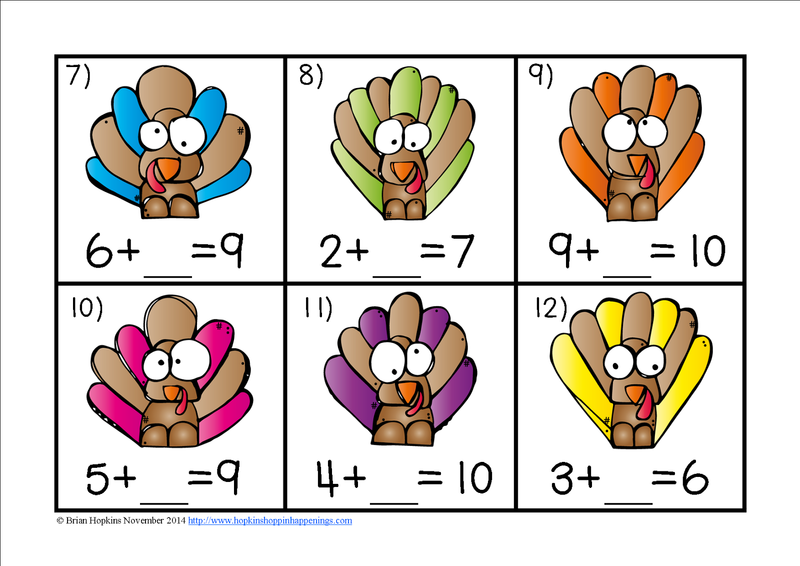 Click on either of the pictures to download at my Teachers Pay Teachers store! Thank you for hoppin' by!